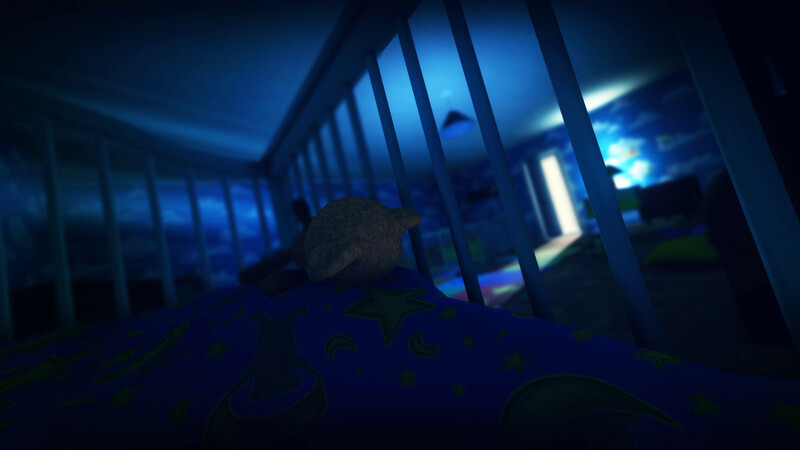 Among the Sleep was successfully Kickstarted in May 2013 (8,110 backers and $248,358), and, one year later, the game is here. Krillbite Studio from Norway is the developer, and they also created the short, beautiful game The Plan, which you can play for free on Steam or their website. The first scene of the game takes place on your second birthday. There’s an angry knock on the door, taking your mother away for a bit for an argument with an unseen man. She comes back with a teddy bear and carries you to your room, where Teddy comes to life and speaks to you. He will be your guide throughout the game, and even provides light when you hug him. You wake up in the middle of the night to him being creepily dragged away; you need to search for both him and your mother after that. Saying much more will ruin discovery and exploration (keep an eye out for drawings), but there’s a bit more going on here than I initially thought there would be. The main character is never revealed to be either a boy or a girl, which I thought was pretty cool (your mom only ever calls you Sweetie and things like that). There are four Steam achievements to get and six trading cards. The game took me 3.3 hours to complete. The game was built in Unity and looks quite good. 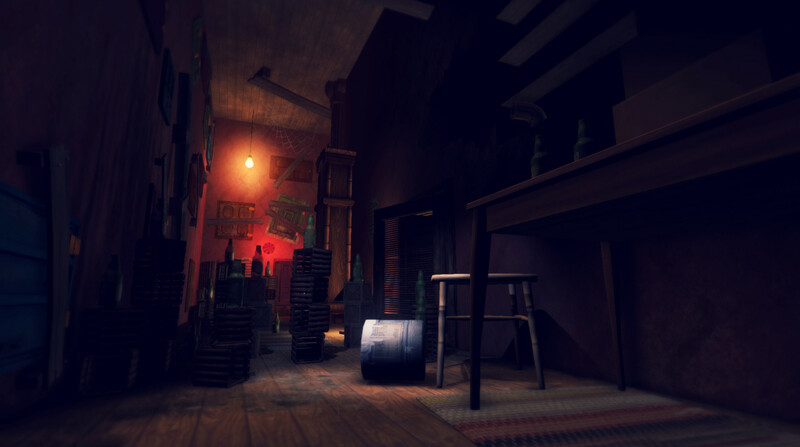 There are a lot of re-used assets, but this worked in the game because of the dream atmosphere. I encountered one instance of a graphical glitch that prevented me from progressing, but reloading the game from the previous checkpoint allowed me to continue. There is not a lot of music in the game, but what is there is well-done and fits in well. The best piece is the mom’s lullaby, which starts out as sweet but gets twisted into a sinister, slow version of itself later. There are two voiced characters, Mom and Teddy, and they both were excellent in their roles. I found myself wishing that Teddy would talk to me more! You’re two, so your motor skills are a bit limited – running can only be sustained for a short time before you fall and must crawl. Crawling is faster than either running or walking, but you can only have the light from Teddy while you’re walking. You can drag things around, pick things up, and climb. You have a small inventory; puzzles are very simple, reflect the skills that babies have (shapes/colors), and you never carry more than two items at a time. The Oculus Rift is supported, but I don’t have one so I couldn’t check that part out. I think it would lend itself well to the technology though. You cannot manually save the game, but checkpoints are so close together that this wasn’t a big deal. If you die (non-graphic, don’t worry – you won’t see any mangled babies), you’re simply brought to a continue screen, where you pick up from the last checkpoint. Anything you manipulated in the environment will be the same after this continue screen. I sometimes had difficulty with the controls, which was frustrating and immersion-breaking. There were multiple times when the climbing button didn’t respond unless I was positioned at a very precise angle. Sometimes Teddy’s light wouldn’t work. The throwing mechanic, introduced late in the game, was inconsistent and didn’t feel right, physics-wise. There are only two puzzles that require you to throw something, but the first one took me ages because it took a long time to get used to. Level design is good in that I was never confused about what I should be doing or where I should be going; it’s quite linear, but there are a few places to explore and toys to toss around. 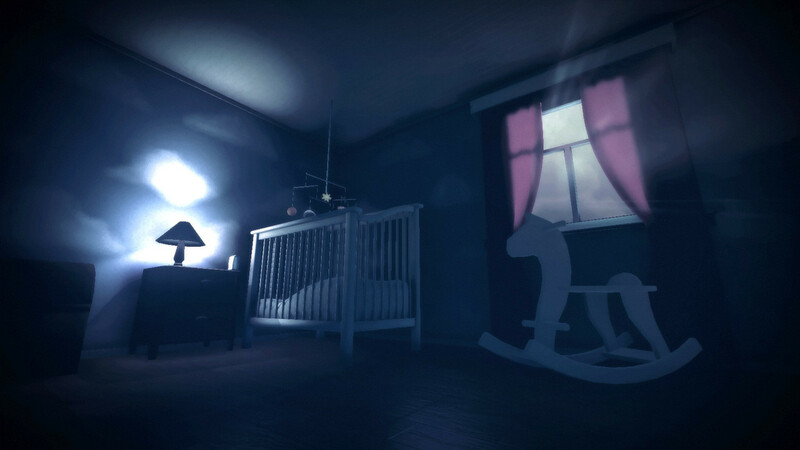 Among the Sleep is more unsettling and tense than actively scary. I only jumped and screamed once, but I was very on edge throughout my playtime. Your mileage may vary, of course; there are times when something will pop out at you, chase you, etc. Certain themes may prove to be disturbing in a different way than straight horror for some players, but I can’t say anything about those without ruining the game (talk to me in the comments though!). 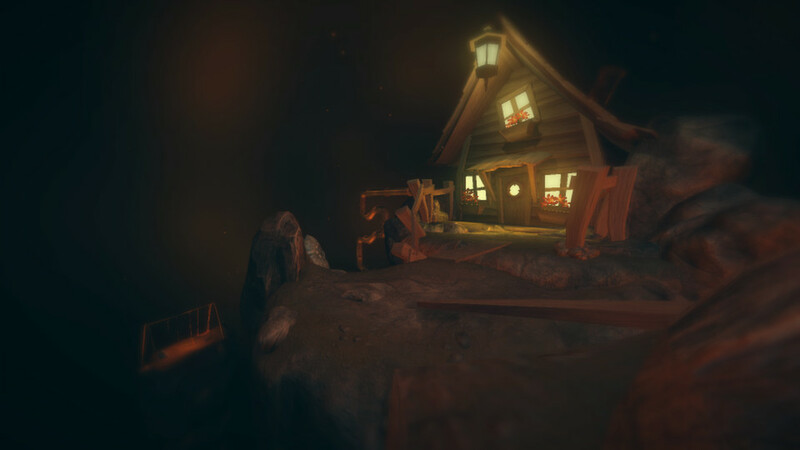 Among the Sleep is a good, atmospheric horror game that accomplishes something unique with its monster. The short playtime, wonky controls, and little replay value, coupled with the high price, may be deterrents, however. There is a free DLC upcoming, which I will definitely check out. You can get Among the Sleep on Steam for $19.99 ($17.99 until June 5). It’s also available on GOG. Check out the official sites, Facebook, Twitter, and YouTube.